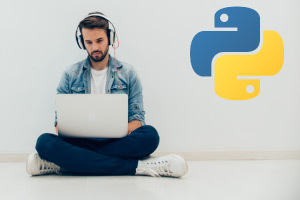 In this free online course Diploma in Python Programming you will learn about the concepts of programming using the Python language. You will learn about creating variables and storing different types of data in them. You will learn about working with dates and time, making decisions with your code and using loops. You will learn about saving and reading files with your program. You will learn about creating functions and handling errors with your code. The course begins by introducing you to the concepts of programming. You will learn about creating your first Python program with Visual Studio. You will learn about commenting in your code and displaying text on screen. You will learn about how Python accepts multiple ways of containing a text string. You will learn about variables and the rules and guidelines for creating variables. You will learn about manipulating variables using built in functions, and briefly what functions are. You will learn about Visual Studio’s IntelliSense feature and its helpfulness when programming. Next, you will learn about storing numeric variables and their difference to string variables. You will learn about performing mathematical operations in your code. You will learn about formatting numbers and converting string variables to numeric variables. You will learn about working with date and time, displacing dates and getting today's date using functions. You will learn about formatting dates and importing libraries to help with the formatting. You will learn about working with time and how to reuse the same functions to format time as you did dates. Next, you will learn about how you code check conditions and make decisions with the if statement. You will learn about the constraints for checking an if statement and how there are generally two different ways to write every if statement. You will learn about using the elif statement for checking multiple conditions. You will learn about combining conditions using logic operations and nesting if statements. Next, you will learn about the concepts of loops, and using the turtle library to draw on screen. You will learn about creating and using for loops. You will also learn about creating and using while loops, and the differences between for and while loops. You will learn about common mistakes made when using loops. Next, you will learn about using and creating lists to store multiple values. You will learn about how to modify and delete from your list. You will learn about searching a list and sorting it. You will learn about creating and writing to files. You will learn about closing the file after your finished using it. You will learn about opening files and reading data from them. You will learn about csv files and what they are. Finally, you will learn about what functions are and how to create functions. You will learn about passing parameters in to your functions and why you should use functions. You will learn what types of errors can occur and how to handle errors. You will learn how to use the try/except statement to handle possible errors and get information on errors that occurred. You will learn how to save functions in a separate file and import them into your main program file as you need them.